THE scandal surrounding the Health Services Union has descended into farce with the Commonwealth Department of Public Prosecutions saying it is powerless to act on the report handed to it by Fair Work Australia. FWA on Tuesday referred its 1100-page report into the alleged mismanagement of finances in the HSU's national office to the CDPP. But in the latest twist in the ongoing saga the CDPP issued a statement late yesterday saying it was not an investigation agency and required a brief of evidence before it could consider laying criminal charges. "The CDPP ... does not have investigative powers and is not able to conduct a criminal investigation," the statement read. "In order for a matter to be assessed as to whether a prosecution should be commenced, a criminal investigation is conducted and a brief of evidence prepared and referred to the CDPP. "The letter referring the report to the CDPP from Fair Work Australia makes it clear that Fair Work Australia has not conducted a criminal investigation. "The material forwarded is not a brief of evidence." The CDPP will examine the material forwarded and consider what further action may need to be taken. FWA's investigation spanned three years and identified 181 alleged breaches of workplace legislation by three former or current union officials and one person who was not an official. The report has not been released, despite cries from the Tony Abbott-led Opposition to make its contents public. 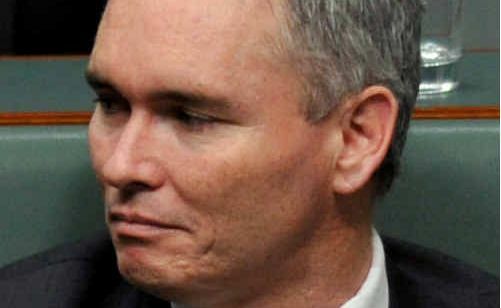 Embattled Labor MP Craig Thomson, while not named in the FWA's media statement on Tuesday as one of the former officials, was national secretary of the HSU from 2002-2007, during which time the alleged financial mismanagement took place. Mr Thomson maintains his innocence and says he is "incredibly frustrated" the matter appears a long way from reaching a conclusion. Meanwhile the Australian Council of Trade Unions is expected to sever ties with the HSU when its executive holds an emergency meeting in Melbourne today. The ACTU's senior leadership met yesterday morning in response to FWA's action. ACTU president Ged Kearney said the decision to consider suspending the HSU's affiliation had been "difficult". "The ongoing allegations and investigations into the HSU have of course caused great concern for the ACTU, our members and ... the broader community," Ms Kearney said. Ms Kearney said the ACTU supported FWA's referral of the report to the DPP. "It is the view of the senior ACTU leadership that the governance issues within the HSU and the ongoing allegations hanging over certain individuals in the HSU are of such serious nature that the broader union movement is forced to ... send a very strong message ... that we will take strong action," Ms Kearney said. ACTU secretary Jeff Lawrence said while he believed the HSU officials in question were entitled to the presumption of innocence, the union movement had "zero tolerance" for corruption or misuse of members' funds. He said the issues confronting the union were "significant". "More inquiries are not the answer. What is required here is action ... to deal with these issues," Mr Lawrence said. "That's why we say the ACTU executive should consider the proposal to suspend the union (HSU)." The Prime Minister Julia Gillard yesterday reconfirmed her confidence in Mr Thomson. Ms Gillard was in western Sydney to talk about a jobs campaign ahead of a community cabinet meeting in Parramatta on Wednesday night, but ended up fielding a barrage of questions about the long-running HSU scandal. During the almost 20-minute press conference the Prime Minister said repeatedly the release of the report was a matter for FWA. However she did not shy away from supporting Mr Thomson. "I don't have anything before me which would cause me to alter from previous statements of confidence in Mr Thomson," Ms Gillard said.